Are you planning a trip to Disney World this December? Congratulations! You’ve made an excellent decision. To get you in the holiday spirit and excited for your upcoming trip, we’ve laid out the best special events that are happening this December in Disney. During the holiday season, Disney wants everyone to stop by, so some of the theme parks will open to the public at 8:00 am instead of 9:00 am. Arrive early to make sure you don’t have to wait in line, and check with Disney to confirm which parks are opening early this December. That’s right, Mickey is throwing a Christmas party! The parties will take place on December 7th, 8th, 10th, 12th, 14th, 15th, 19th, 21st, and 22nd, from 7:00 pm to midnight. You’ll need to pick up a ticket, but the party will include special activities, shows, a parade, and tons of fireworks. Take a sleigh ride through the woods of Disney in the Magic Kingdom resort area! These sleigh rides are about 25 minutes long, and can accommodate four adults, or two adults and three children. Click here for additional info. From now until December 20th, Epcot has tons of holiday events happening, like the International Yuletide Extravaganza, the Chip & Dale’s Christmas Spree, and candlelight processionals. Click here to learn more! 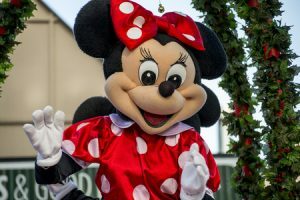 Disney has lots in store this holiday season, if you haven’t booked your trip yet, not to worry! It’s not too late. Worldwide Cruises and Tours is here to help, and has lots of packages to offer you—call us at 214-929-2069 today. Happy Holidays!